Latin (Western) Church Depiction of Pentecost. Now over twenty years ago, one of my tasks as a deacon where I was serving was to lead the high school Sunday school class. Among my students was brilliant, and a genius who had earned a Merit Scholarship—he scored the maximum on the ACT. Nevertheless, his brilliance did not necessarily mean he was perceptive. Later, in another session, we were talking about the Pentecost event recorded in the Acts of the Apostles. 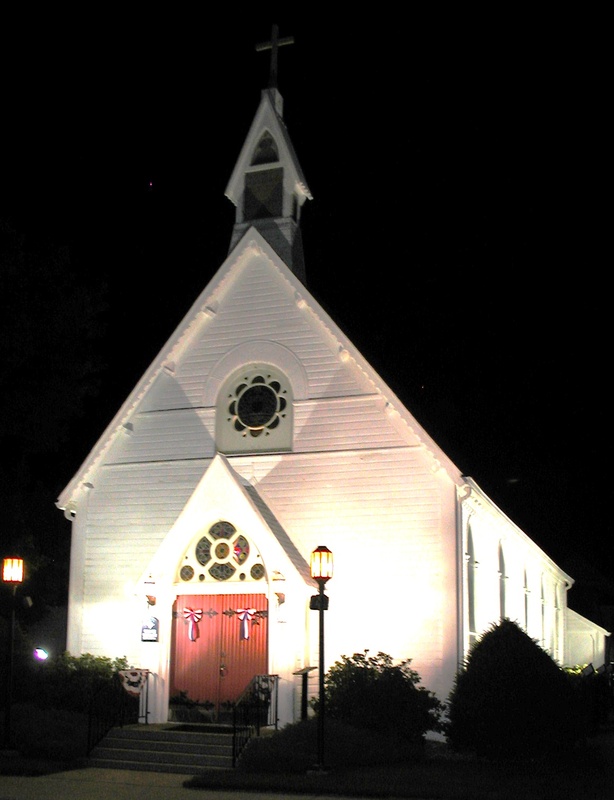 He wondered why the church did not look like the primitive church of the New Testament. We talked about that idea. One of the teens in the room said she saw a sign for a church that read “New Testament Primitive Church”. I suggested that they were telling everyone they believed in the church as it was in the Acts of the Apostles. I agreed and said that was a very wise observation. I added, “The Church has changed over the centuries from a fledgling sect of Jews who followed the teachings of Jesus in what they called The Way, to a powerful adjunct of the state under the emperor Constantine, to finally a spiritual home for millions of believers—not because they were born into the church but because of their own commitments. This progress is called evolution. Orthodox (Eastern) Church Depiction of Pentecost. I asked the students to think about the Pentecost event. What actually happened, who did the disciples preach to, and what does it mean for us today? As I did so long ago with my young students, let us review those questions today and think about what Pentecost means to us as individuals and the Church. 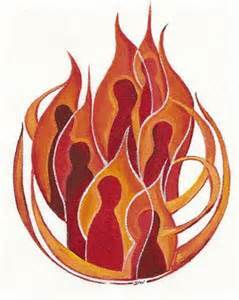 Pentecost is a Greek name for the Jewish Feast of Shavuot—it is the feast of the first harvest. People from all over the Middle East gathered in Jerusalem to give thanks and celebrate the abundance of the harvest. The disciples had a ready audience. People were in a good mood, they had been eating at their festive tables, and were gathered on the Temple Mount. Because of one person’s insight, probably, the disciples finally grasped the meaning of the words, the life, the death, resurrection, and ascension of Jesus. With that understanding they knew that their mission was to proclaim the good news that God is love. Is This What the Disciples were Told to Build? If you had told them they were starting a church, they might have responded, “A Church? What’s a Church? We’re proclaiming the Good News. The good news of our Teacher who taught us that following the letter of the law is not God’s call on us, but instead humanity is called to live the Spirit of the law; this is The Way, the only way, to experience God’s kingdom. The power of God’s Spirit to move people, and all that is in nature and the universe, is not a new concept resulting from the disciple’s Pentecost experience. We can look back to the beginning of time. The Spirit of God gave life to the universe; breathed life into the soil and trees from which humanity sprang. The Spirit of God lifted humans out of the mud and down from the trees and gave it a brain and strength to gain intellect and to love. The Holy Spirit of God was already with, in them, and around the disciples. In the Gospel According to John (20:19-23) Jesus had breathed the life-giving Spirit into his them before the Ascension, but they remained afraid and uncertain about their commission. Likely, one of the disciples lost his patience. No one was doing anything but wringing hands. I think he finally understood the pervasiveness of God’s Holy Spirit and made a move to get things going. The disciples discovered what was already there, not some new mysterious and unknown element. The Spirit of God, represented in the Scriptures as wind and fire, is ever-present; it is the glory of Divine Love—a love that lies as a potential power for change every human soul. In some vain hope of making the complex more understandable, Pentecost has been reduced to the “birthday of the Church.” It is a good sentiment, but it was something more powerful. It was the day the disciples were jolted from their lethargy and pushed out of their closed-up room to continue the mission Christ had laid out before them. 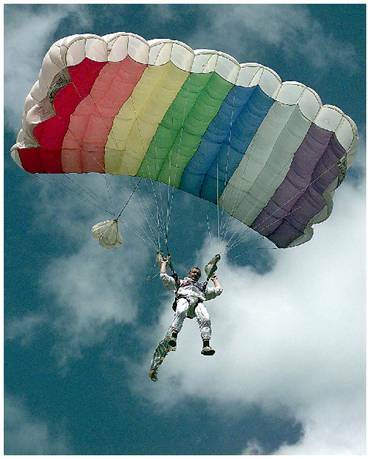 Nerve is Needed to “Jump-Off” into the Open Sky. It could be thought of as the “birthday of the church,” but it was the disciples’ “D-Day”—using an allegory of modern times. It was the jumping-off day when the disciples finally understood they had a mission to fulfill, a job to do, and fearfully huddled in a closed-off room was not going to get it done. Thus, to answer my young genius’ question, “Why can’t we be the primitive church?” I suggest it seems that the Church, like all living organisms is subject to evolutionary processes. People over the centuries have thought about Jesus’ teachings, about his life, his death, the resurrection, and God’s intervention into the history of humanity. This thinking, theologizing, has provided more profound connections to the created order. A View of the Universe as Seen through the Hubble Telescope. 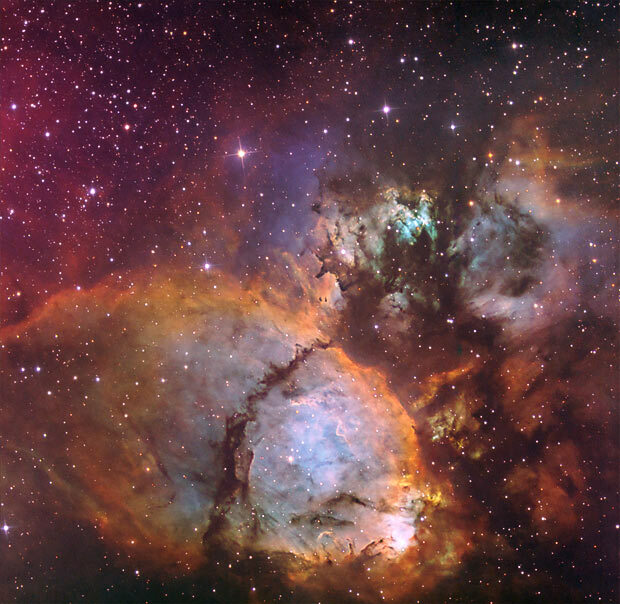 What about the universe, the vast interstellar space that is beyond our limited space on this planet? God and Man Share in Creation. With the new visions of the universe, should we stay in a primitive state or own the world science has given us? Are we to remain exploiters of the planet instead of co-creators? Regardless of he lure of paradise, God did not create humanity so it would remain in the Garden of Eden. God placed the tree of knowledge before the primitive human so it would expand its contacts with God and share in the beauty of creation–the beauty of holiness. Discovering fire is, in my estimation, the story of Pentecost. The Acts of the Apostles 2:1-21. This feast is celebrated or observed fifty days after the Passover. 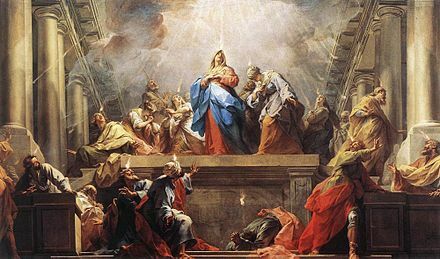 In the Christian tradition, Pentecost is observed fifty days after Easter and is celebrated as the day the Holy Spirit of God came to the Apostles, including the Virgin Mary. Quoted from http://www.tielhard.com citing a meditation from St. Andrew’s Episcopal Church in Edwardsville, Illinois. For the 6th Sunday of Easter, 2014.